to shine. To blind the world, by light reborn. I leave behind. My plight now starts untorn. the lust, the lies, the sick mistakes I made. 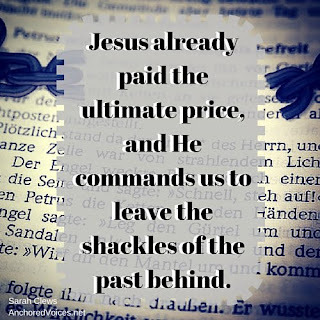 I gaze upon the cross; my debt is paid. I leave behind my vice. The flesh can die. Readers, Every once and awhile we love to share some poetry with you. This Italian Sonnet was written to express the new life found in letting the flesh and its destructive tendencies die. 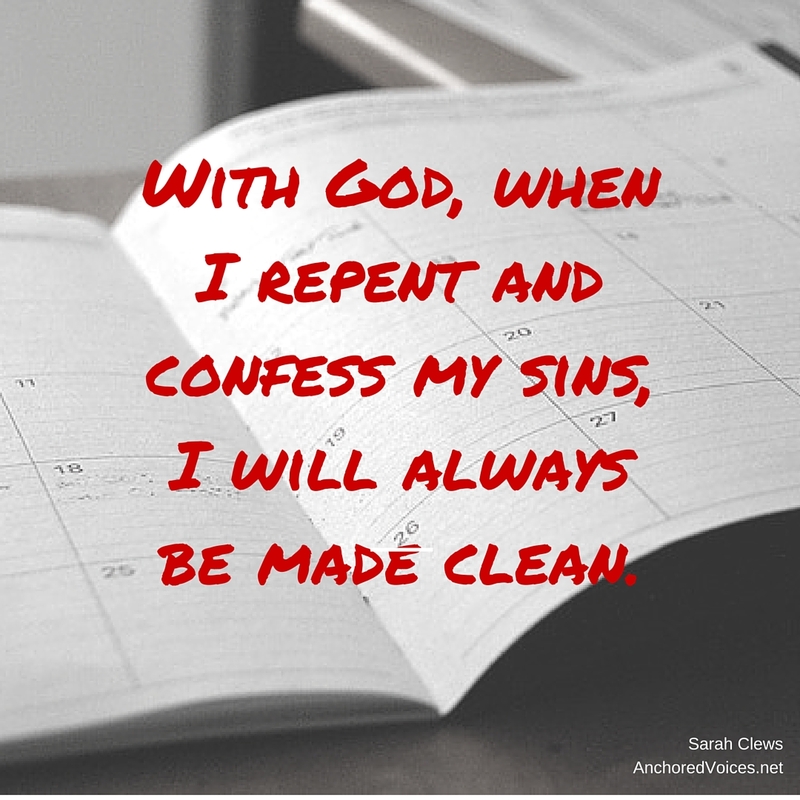 How have you seen this scriptural truth play out in your own life? It was one of those days in which the rain kept coming. I stood behind my church’s connection desk, and watched as one of the greeter’s hair soared straight into the air, as the wind swirled and ruffled it to and fro. The drear and drizzle continued throughout most of the afternoon. It was the first day of Daylight Savings Time, and the weather seemed to remind me of how sleepy I really was and that caffeine was not a strong enough remedy for my tired body. I took a nap in an attempt to satiate my body’s need for rest, and upon waking up, I spotted the most glorious sunbeams pouring in through the bay window. They flickered in and out of the clouds, and when I finally made it alfresco to let the dogs out, the sun stuck. Golden rays of sun created a spotlight on the newly bloomed flowers. The flowers, in saturated hues of yellow, purple, and pink, reminded me of glimmers of hope. Hope in which I so desperately need reminding of today. Each winter I feel as though God likes to teach me the hard things. Perhaps it’s because I’m forced indoors with my thoughts, and I cannot escape into the Pacific Northwest’s outdoor playground. Or maybe it’s my own internal reflections rearing their head. Either way, it seems as though the past few winters have been riddled with a little bit of gloom. 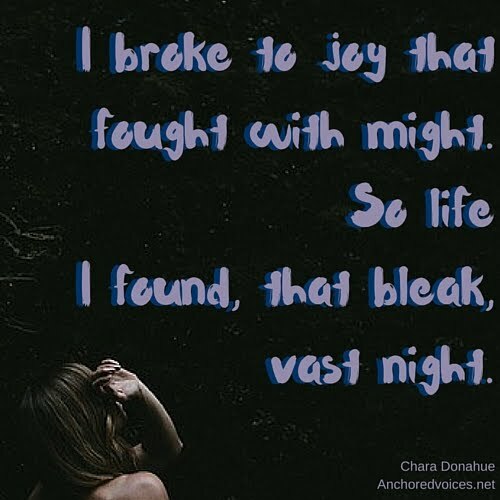 I know I am not alone in feeling this way, as many friends and family have poured out their hearts to me stating the same awareness of life’s difficulties. I hope in God, and I know with Him, I can weather through any storm. 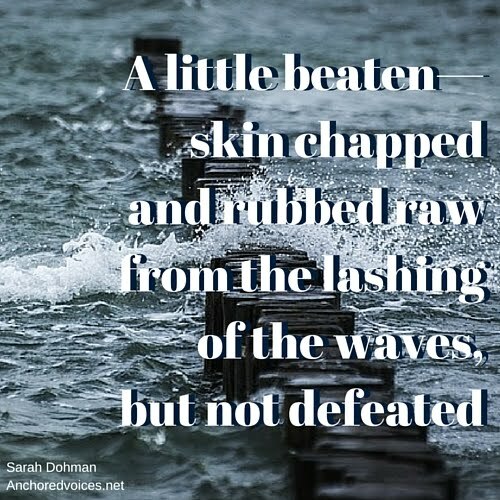 Sometimes, however, it feels as though after the storm you are a little worse for wear. A little beaten—skin chapped and rubbed raw from the lashing of the waves, but not defeated. And then there are moments like today: I saw a physical reminder of hope coming. Flowers. So simple, yet striking. God knew I needed this physical reminder of His goodness. As surely as the spring rains fall, if we call upon God, He will come. He will answer us. He will provide us with hope in daily reminders of flowers blooming, and in the answers of prayers prayed for many years. God will come and take our bruised spirits and renew us with His strength. He will come and fill our hearts with a longing for something more. He will come and bind up our broken and weary hearts and draw them close to Him. He will come and bring healing, and peace, and calm the turmoil in our lives. 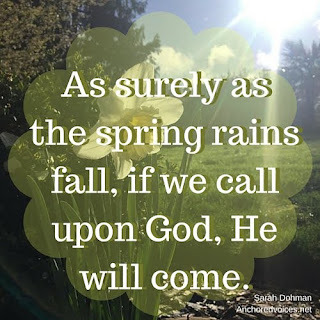 He will come to us as the showers, frequently and at the exact moment needed. Spring is coming. I saw that hope today in the form of a dewy daffodil. Hope is coming. His name is Jesus. Readers, What are you looking forward to seeing happen as spring arrives? 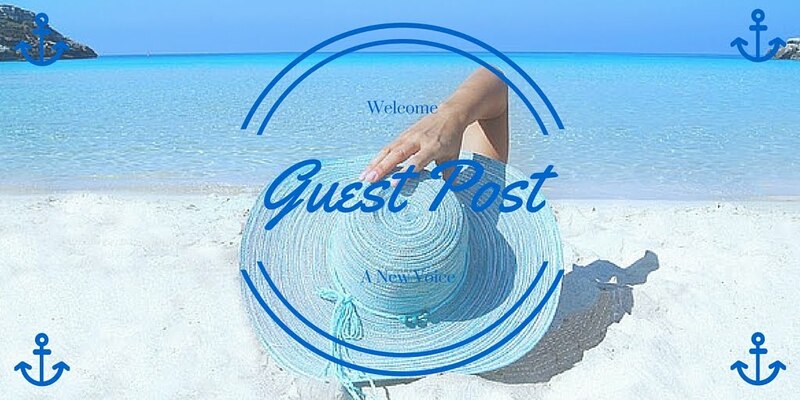 Like our contributor Sarah's writing? Find more at her website Sarah Elizabeth Joy. As I was going through school to become a teacher, I remember expressing delight in having chosen a career in which I could embrace change each school year. Change was plausible, whether it be a change in students or a change in grade level. And now, in my tenth year of teaching, I detest September. With the start of each new school year, melancholy begins to loom. I miss my old students, I experience an inner lament for the children from the year before. Together we were a well-oiled machine. They know how I operate. They know the routines. They know my expectations. They get my sarcasm. They know me. The fresh faces of September, however, are haphazard and helter-skelter. 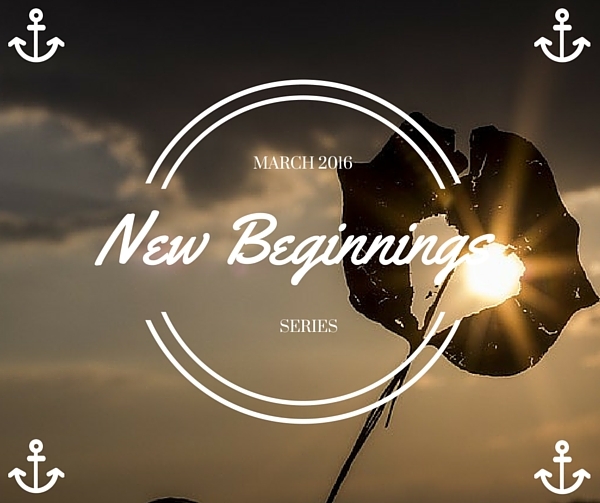 Starting anew is just plain hard. 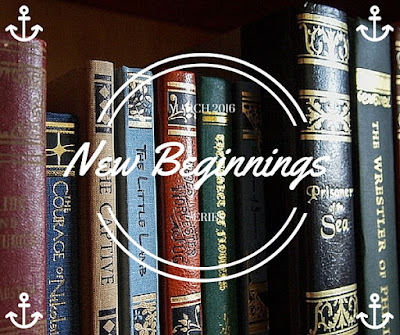 This past year, September's song of starting anew brought distraught outside the classroom as well. I had just said goodbye to a relationship that I felt with certainty, for the first time ever, would lead to marriage, to a family. I loved deeper than ever before and at many levels. The man I had been in a relationship with had come with children that I embraced, loved, and cherished. It felt very much as though we were already a family, but we weren’t. And I wrestled with the truth that we would not be. Sitting in the midst of hopes not realized, left me discombobulated. As I faced what looked like a desolate frontier in front of me, I had my feet in the mud, not wanting to start anew. I must hold fast to the assurance that The Lord has purpose in what He is doing. He is still sovereign each time He puts uncharted waters before me. He knows what is best and does what is best. As His servant, I am to humble myself before Him, in seeking to live in accordance with His will. 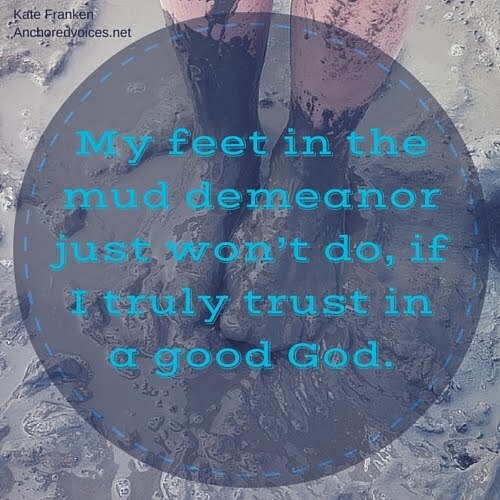 My feet in the mud demeanor just won’t do, if I truly trust in Him. My ever-present prayer is that The Lord increase my trust in Him. I meditate on who I know Him to be. My hope. My rock. My salvation. My refuge. Perspective shifts when we put our eyes on The Lord and properly esteem Him. No longer do things look desolate or devoid of ever receiving oil. Draw near to God, and He will draw near to you. (James 4:8) Much joy is found in the midst of deep waters, because it’s in the midst of those deep waters that we see Him. We see Him to be our one and only constant. Through it all, He remains. We see His steadfast love in the innumerable blessings He pours out into today. But we miss this opportunity, if we’re lost in yesterday or tomorrow. Seek Him and see the love and grace He has for you. We are all errant people, and forget His goodness in a split second. This is true of me in September and other times throughout the year when things seem to be steered in unwanted directions. To diminish the frequency of such, I seek to talk to Him always, to faithfully read His Word, and to surround myself with a community of believers that will point me towards him again and again. I know I am not alone in this. May we all move forward confidently, trusting His ways, and rest in the knowledge that He writes each of our stories beautifully—flawlessly. We may feel like we’re starting anew, but it’s just simply a new chapter in His book where more of His heroic nature is evident. 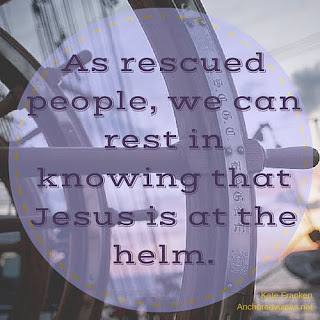 As rescued people, we can rest in knowing that He is at the helm. With Jesus cast as the hero, hope is written on every page. Readers, What new thing is God asking you to trust Him with? How can we pray for you this week? Kate Franken is a 5th grade teacher, a lover of books, and a coffee connoisseur. She enjoys a good conversation, chases after her beautiful dogs, and serves as the volunteer coordinator at her church in Oregon. This one is for the Jane Austen fans out there, you may recall Mr. Darcy saying in Pride and Prejudice, “My good opinion, once lost, is lost forever.” This arrogant statement is laced with finality. *Spoiler Alert* Mr. Darcy does change his mind in the end about a certain young lady (Lizzy Bennett) and actually marries her! 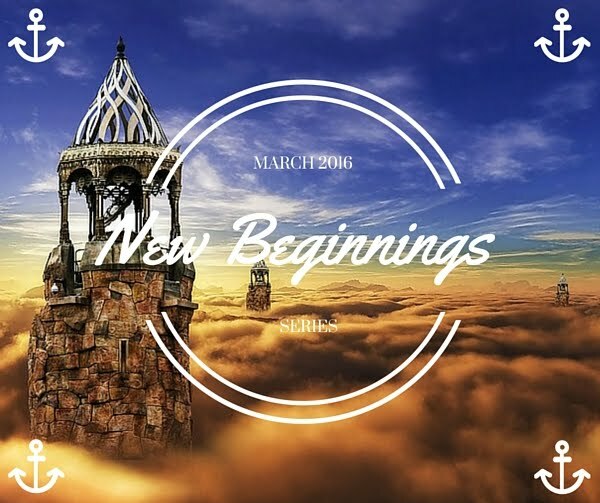 They get a new beginning. 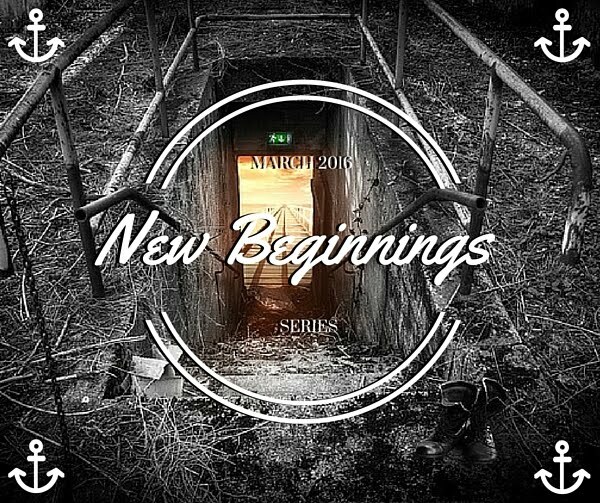 One of my favorite things about God is His willingness to give us new beginnings. What a hopeless world it would be without forgiveness, particularly God’s forgiveness! Recently, I found myself feeling heartsick as I looked at my 3 year old daughter as she sobbed. I had gotten upset with her and made a judgment error in my parenting. She felt I had been harsh with her and I was cut to the heart. I apologized, she forgave, and I knew we would begin again. Young children, like God, are relentlessly forgiving. But I didn’t want to forgive myself. I didn’t want to let myself have a new beginning. God gives us the ultimate chance at a new beginning . God isn’t saving our sins up to use them as a weapon later. He removes them completely. They are no longer held against us. I think it’s human nature to wallow in guilt and self-pity. As if by punishing ourselves, we can make up for our own wrongs. 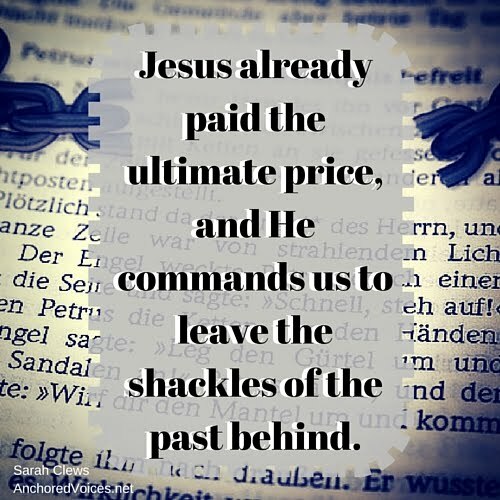 Jesus already paid the ultimate price, and He commands us to leave the shackles of the past behind. We get a new beginning. We are new creations. Let's embrace that. Readers, What do you need to leave behind so you can step into your new beginning? Sarah Clews is a wife, mother of two little girls, writer and prolific reader. 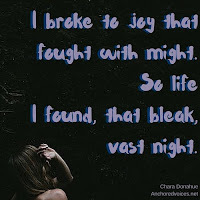 You can find more of her writing at Just Little Things.